Digital has revolutionized the hotel industry; it did so - and continues to do so - largely by influencing and expanding consumer expectations. While technology has changed the face of hotel digital marketing, more fundamentally, it has altered what guests want and need from their accommodations. Are you evolving with technology? And more importantly, with guests? How can you deliver on expectations, meet brand goals - and stay within budget? Big questions need bold answers. The concept of a “digital concierge” may be the solution that helps your hotel adapt, innovate, and thrive. Travel is a booming industry in both leisure and business sectors. According to Deloitte, the travel industry is one of the fastest growing sectors in the world; its gross bookings hit $1.6 trillion in 2017. With indirect economic contributions, travel and tourism comprised 10.2 percent of the global GDP. The US market set a record of $353 billion in 2017, and is poised to shatter that by a cool $17 billion by the end of 2018. Demand is strong. And so are the pressures that hotels face. We mentioned that consumer expectations have undergone a significant shift. Many are no longer satisfied with simply having a bed to sleep in. They want to book into an experience that includes value-adds. From complimentary refreshments, social mixers, and luxe toiletries to passes to area attractions and extra fluffy pillows, guests want more. At the same time, profitability takes a hit from online travel agents. OTAs grab a nearly 70% share of total hotel bookings. Brands have found themselves in a catch-22: they need to book vacant rooms, which the OTAs can do. But then they pay a commission on each one, which can be hefty - certainly in comparison to direct bookings. Beyond this, however, when guests go through an OTA, it can lead to dissonance (which can lead to dissatisfaction) in their experiences on the travel site versus your property. Consistency is key to building trust. They are also less likely to book direct in the future. There is no one solution. Given the digital revolution, hotels need to be tackling both challenges and goals on multiple fronts - from website and social to review sites and (yes) OTAs. One of these is integrating a digital version of a concierge. 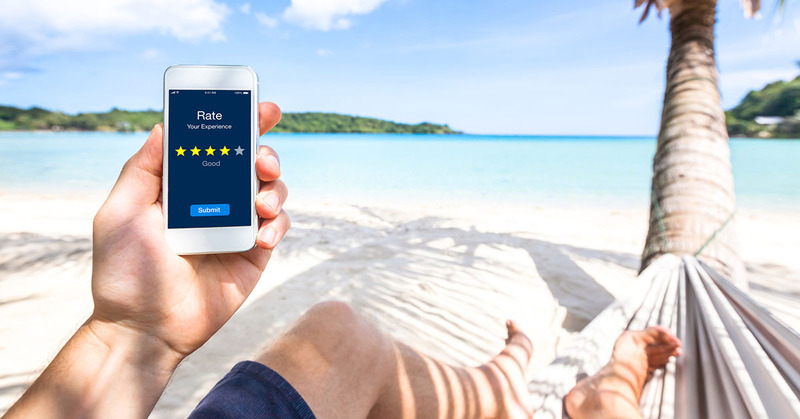 The digital version of this expert-on-the-ground can help during the stay - but also at every other point in the guest’s purchase journey from booking and pre-stay to post-stay. Why Launch a Digital Concierge? Making onsite reservations (e.g. spa, restaurant). Accommodating in-room requests (another pillow, please!). Handling next-stay inquiries and bookings. Delivering consistent, continuous interaction: Trust is built on consistency. Not only will guests have a point of contact to follow them through their journey, your brand will have that data. Unlike chat (which you should also have! ), that thread is continuous. You can glean just as much useful intel from your concierge as your guests can. Providing answers - as, and when, needed: A great concierge answers questions and provides a little extra. For example, if a guests asks for directions to Attraction X, a concierge gives the inside scoop: free parking here, don’t miss this restaurant, take route Y to avoid traffic. Your app can do this at precisely the time guests need. Keeping a “paper” trail: You’ll have that thread for each guest to draw from. For example, if they make special requests (e.g. I need four pillows instead of three), you can make a note of their preferences (digitally, of course) and provide the accommodation next time. Extra service, no extra effort or cost. Digital has completely changed the hotel industry; a digital concierge can help you keep up without tacking on extraneous costs. For more ideas to empower you to evolve with your guests, consult a firm that handles hotel marketing services. Meet - and exceed - expectations.